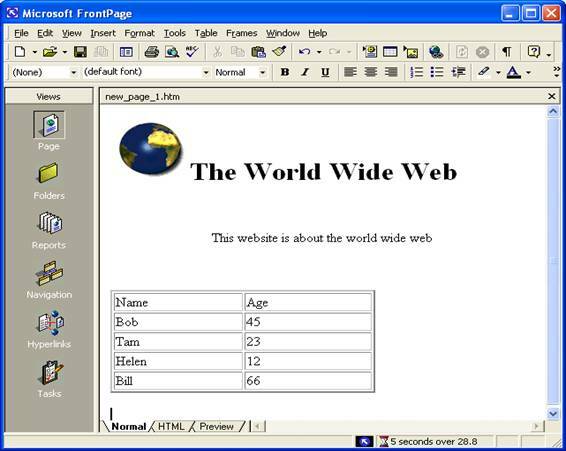 There are programs that allow you to build a website without using HTML. These are called WYSIWYG (pronounced wizzy wig) programs, which stands for What You See Is What You Get. Probably the most famous of these programs are Microsoft FrontPage and Macromedia Dreamweaver. Instead of writing the HTML code, WYSIWYG programs allow you to build your website as it would be displayed and write the HTML code for you in the background. WYSIWYG programs also provide additional functions for checking hyperlinks, publishing your website (FTP your files to the web server) and dynamic HTML, which permits HTML to change after a page has been loaded into a browser.